Need a Summer Job at Lake Vermilion or Area Lakes? The North St Louis Soil & Water Conservation District and Always There Staffing, Inc, a local staffing agency, are seeking part-time seasonal aquatic invasive species (AIS) watercraft inspectors to work at public access sites on Lake Vermilion, Pelican Lake, Burntside Lake, Shagawa Lake, Ely Lake, and Gilbert Pit for the 2019 boating season. 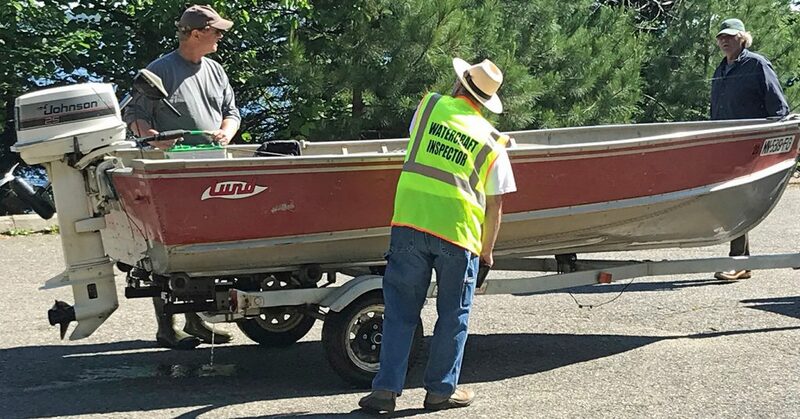 Inspectors will be greeting boaters, checking boats entering and exiting the lake for AIS, and teaching boaters how to self-inspect their watercraft. Inspectors will use a tablet (provided) to aid in the inspection process and to record inspection data. All inspectors hired must receive Level 1 MNDNR Watercraft Inspector training (paid). All inspectors operating decontamination equipment must also receive Level 2 DNR Watercraft Inspector training (paid). Work assignments will run early May through September/October, and will include working weekends, Memorial Day, July 4th, and Labor Day. Applicants do not have to be available for the entire season and can express a preference for assignment locations. Starting Level 1 inspectors will earn $12.50/hour. Starting Level 2 inspectors will earn $13.00/hour. Applications are open until all positions are filled. ©2019 Vermilion Lake Association | Minnesota Website Design by W.A. Fisher Interactive | Report Problems to W.A. Fisher Co.